23rd March, it is like any other day for people around the world but for Pakistanis it holds special value and is of much more importance than an ordinary holiday. You must get break from routine undertakings and remind your children about the Lahore Resolution, which is considered as a foremost milestone in the Muslim struggle to get an independent state in undivided India. Across Pakistan, the day begins with special prayers offered for national peace and prosperity. At dawn, Pakistan's national flag is hoisted on public and government buildings followed by 31-gun salute in Islamabad and a 21-gun salute in provincial capitals. Later in day, a change of guard ceremony takes place at the mausoleums of Allama Iqbal and Muhammad Ali Jinnah. Other festivities include parties, official ceremonies at every level, award ceremony at presidential level, and debate competitions being held throughout the day. 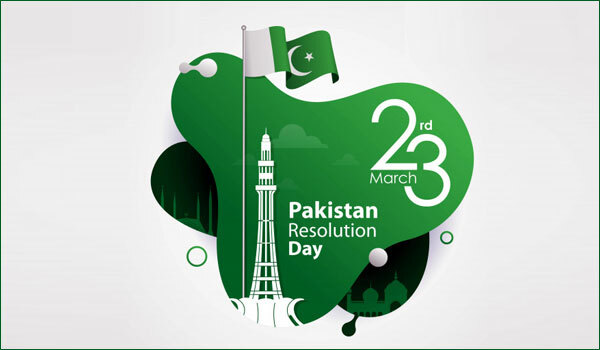 Like every year, Pakistan Day would be celebrated with full passion and enthusiasm in the country. In Islamabad, the Pakistan Day Parade will be held as per the schedule. Pakistan Army Spokesman, Major General Asif Ghafoor revealed in a tweet that Dr Mahathir bin Mohamad the Malaysian Prime Minister will be guest of honour on the occasion. Other prestigious guests that will attend the occasion include Defence Minister of Azerbaijan, Chief of Army Staff of Bahrain, and Omani officials. In the parade the commissions from Azerbaijan, Bahrain, China, Saudi Arabia, Sri Lanka and Turkey will take part. President of Pakistan Dr. Arif Alvi would bestow 127 civil awards to Pakistani nationals and foreign nationals for showing brilliance in their particular fields. You can attend festivities of the day being in other cities of Pakistan too. For instance, the Lahore Arts Council will organize musical programme "Alhamra live" in which patriotic songs will be played. You can have a wonderful day being in any part of Pakistan but in the merriment of the day, do not forget the sacrifices of our forefathers and how you can play a positive role in the development and growth of our beloved country.